Whilst staying at our luxurious villa you are ideally situated to enjoy some of the best fishing in Thailand. 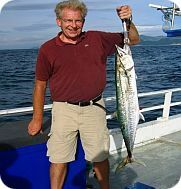 Fishing holidays are becoming more and more popular and in Thailand you are spoilt for choice with some incredible species. Peacock bass, Sweetwater dorado, Jullien golden carp, Amazon redtail catfish, Rohu silver, Rohu gray, Spotted featherback, Barramundi, Catla carp, Giant Siamese Carp and Mekong Catfish to name a few. Hua hin Fishing Lodge offers all inclusive day trips. Jurassic mountain resort, one of the newest fishing resorts in Thailand offers transfers from Hua Hin and Pranburi. Ch-am fishing offers day trips as does Greenfield Valley Fishing which has now become Mukgun Sport Fishing Park & Arapaima Farm in Pranburi. 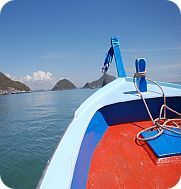 For a more relaxed, family fishing trip you could try the Siam Pearl. Please let us know if you would like to enjoy some fishing during your stay with us in Thailand and we will be happy to help you with arrangements.